We need your help. Today. Now. Please. 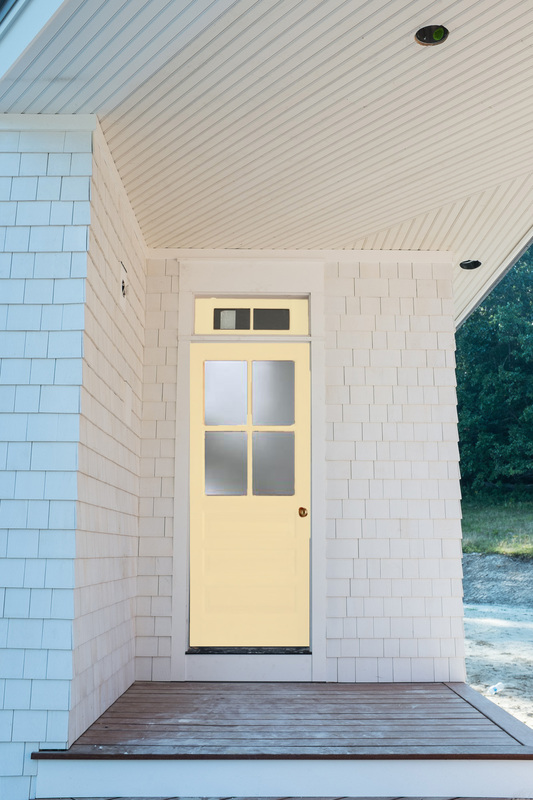 We need your help picking a front door color. 1. 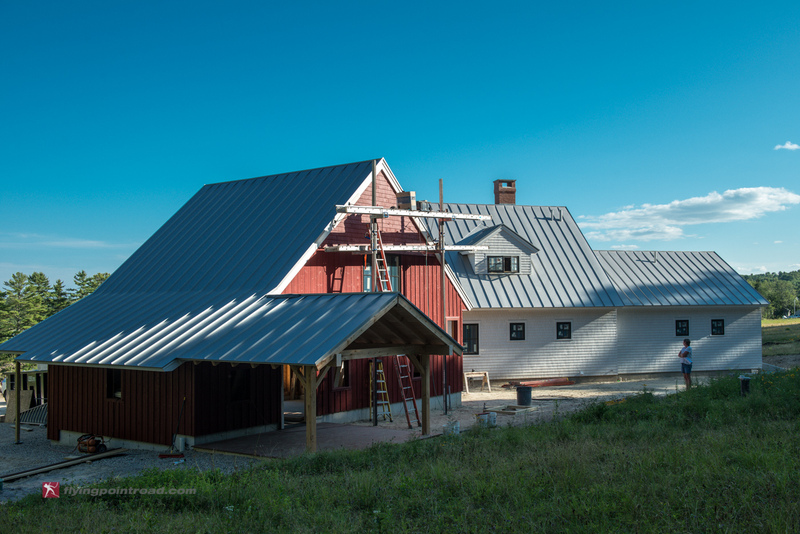 Barnstable Red – As most of you know, this is also the color of the garage / barn thingy. Painting the door this color would be a nice visual connection between the two buildings. And — for the practical among us — makes buying paint a breeze. 2. Natural – No paint on this one. 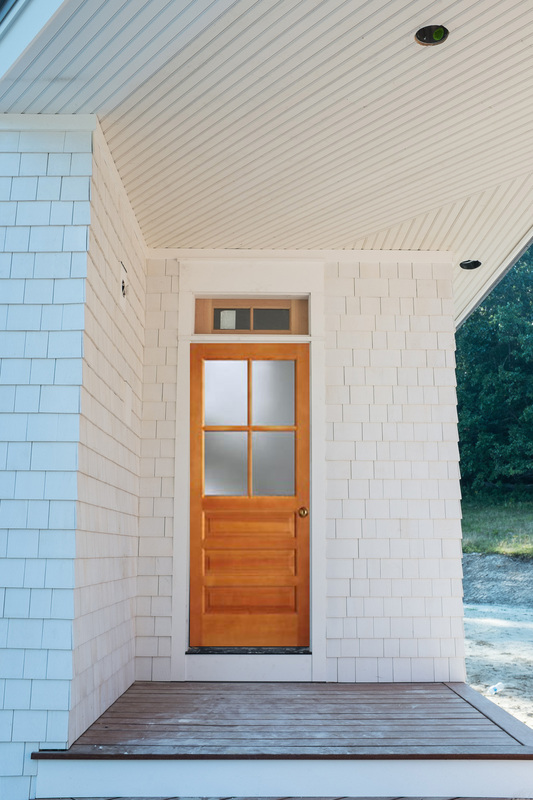 We’d just polyurethane the door and let it be natural wood. Simple, classy, nice. 3. Historical Blue – Just for kicks, we put the Barnstable Red of the garage / barn thingy through an on-line color palette generator. This is one of the “complimentary color” suggestions that popped up. Please vote today. And vote often. ← The magic of v-board pine. If not the red or natural, what about navy? Hadn’t thought about navy. The windows and all the hardware is a “dark bronze,” so we’re a bit worried about a dark color (like navy) would blend. Thanks. Seems to be a custom color that Cabot Stains makes up for Maibec (The shingle / board & batten manufacturer) “Barnstable Red.” Can’t find it in their catalog, but all the touch-up cans that were included in the shipment were from Cabot.